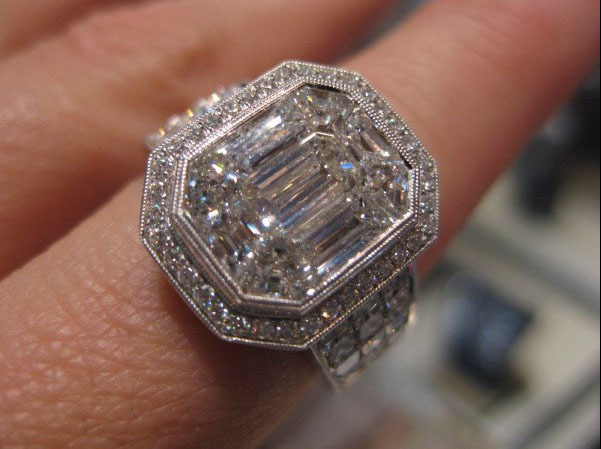 The President has a good eye for fine jewelry. In December 2009, Mr. Obama gave this exquisite custom made Garavelli diamond brooch pin to Michelle as an anniversary gift. 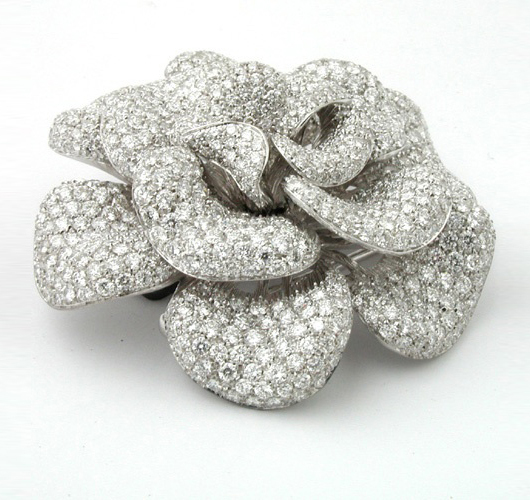 The brooch has a floral design and scintillates with pave-set round brilliant cut white diamonds. She first wore it on Oprah’s “Christmas at the White House” special and has been wearing it in a variety of creative ways ever since, including attached to her pearl necklace as a pendant on the cover of Good Housekeeping. Michelle Obama’s diamond brooch pin, has a very similar design to one of Garavelli’s other floral inspired designs that was sold at Firenze Jewels earlier this year. 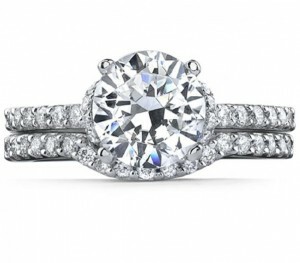 2010 has seen a significant theme in floral jewelry – everything from engagement rings to beautiful pieces such as this one. 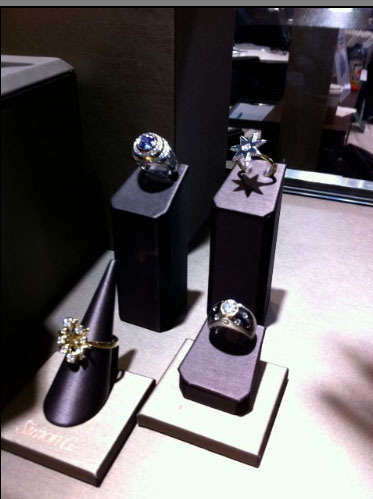 Renowned fashion and bridal jewelry designer Charles Krypell speaks in this interview below about the concept, pricing and strategies for the latest pieces in their collection of fine designer jewelry at the recent Prestige Promenade at JCK. Focused on attracting the attention of jewelry collectors instead of jewelry shoppers, the New York designer showcases two fine 3-link bracelets featuring black diamonds, brown diamonds and a combination of sterling silver and gold which he says is a very big look at the moment. Suggested retail prices average between $300-$7,000. 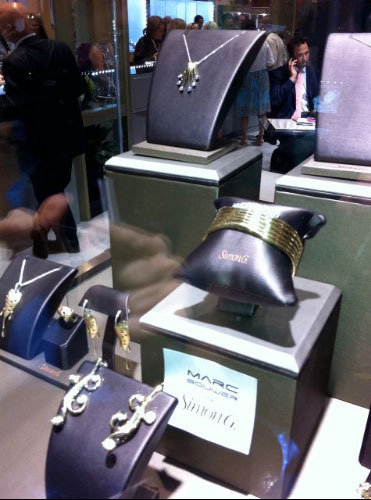 Twilight star Nikki Reed talks in this video about why she loves Simon G Jewelry at the recent Summer Soiree in Las Vegas. 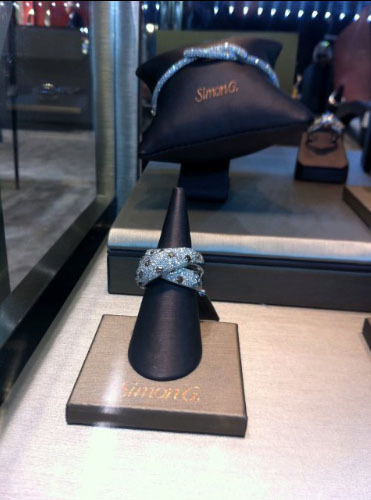 A big fan of Simon G for a long time, her favorite pieces in her personal collection are 3 sparkling diamond bracelets worn as a set in rose gold, yellow gold and silver and we can see why! 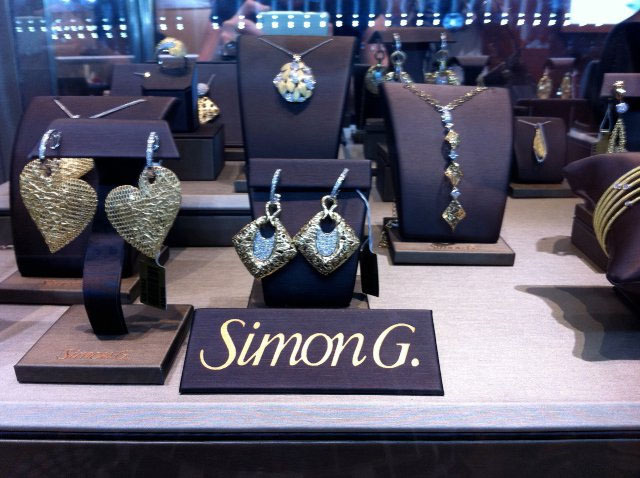 “I love Simon G’s jewelry because it’s delicate, classy, simple and I think he uses a wonderful combination of different metals and beautiful different color diamonds” says the star. New York City’s Firenze Jewels weighs in on four very different but influential women in politics this year, the type of jewelry they have worn and how it compliments their overall style. “You can tell a lot about someone’s personality by looking at the style of jewelry they choose to wear,” says Gabrielle Guzman, Director of the e-Commerce division at Firenze Jewels. While you may or may not agree with their (or their husband’s) philosophical views, one thing is for certain; we’ll be seeing a lot more of one of them in the future. jokingly replied “I want both”. Hillary is also known to be a big fan of turquoise jewelry, and when she’s not in the spot light she’ll usually opt for a simple gold necklace. 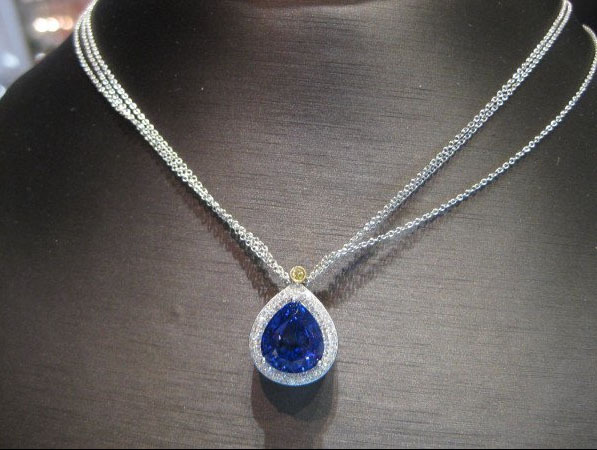 Firenze Jewels believes that the jewelry Mrs. Clinton chooses to wear is very much like her famous trademark pantsuits, it shows that she’s confident, enjoys attention and likes to be in control. are traditional but the fabrics and colors that she chooses are not. 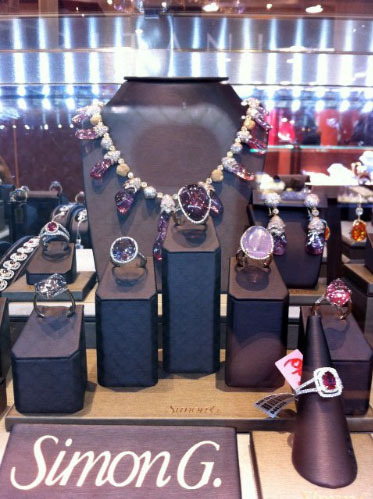 Firenze Jewels believes that Mrs. McCain’s choice in jewelry and sense of fashion shows that although she chooses to play the role of a traditional Republican First Lady if her husband were elected, she certainly does not think like one. the lines of a long beaded necklace, a sparkling brooch or other form of jewelry that adds flair and drama to her overall style. Firenze Jewels believes that Mrs. Obama’s selection of jewelry and the way she employs it with her outfit, shows that she is very down to earth and comfortable with who she is. look, so Sarah usually keeps her jewelry to a minimum. If she does wear a necklace or chain of some sort, it’s usually a simple chain made of gold or modest sized beads. 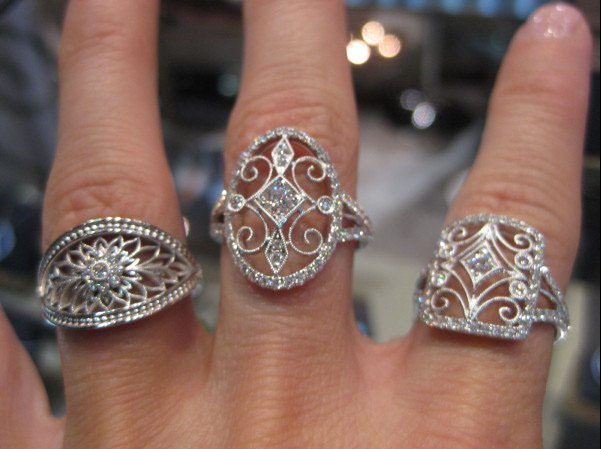 Firenze Jewels believes that Mrs. Palin’s choice of jewelry and overall style shows that she takes pride in roots as well as her work and achievements.